Product categories of DEUTZ 226B/WP6/WP8 Parts, we are specialized manufacturers from China, Deutz Engine Parts, Deutz Engine Air Filter suppliers/factory, wholesale high-quality products of Deutz Cylinder Head Gasket R & D and manufacturing, we have the perfect after-sales service and technical support. Look forward to your cooperation! DEUTZ by the Weifang Diesel Engine Factory and Germany Deutz AG joint-stock company, was established in January 15, 1998. Production Deutz brand (DEUTZ) 226B series diesel engine, the annual design capacity of 100,000 units. Mainly engaged in the development, production, sales 226B, WP4 and WP6 series of diesel engines and their components and provide after-sales service, the leading diesel engine products power between 30kW-198 kW, the number of cylinders are three, four and six. 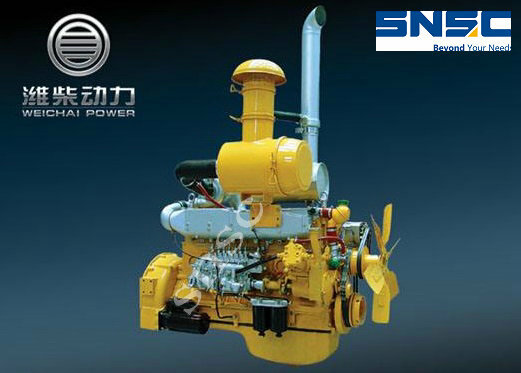 In order to meet the needs of the market, the company has successively developed more than 1050 variant varieties of 226B, WP4 and WP6 series diesel engine products, which are widely used in the fields of marine, power generation, agricultural machinery, construction machinery and automobiles.